Monty Roberts in his book “The Man Who Listens to Horses” in recounting how he developed his “Join Up” method of training, writes of observing what he termed a dominant mare in a herd of wild horses on the high plains, driving a young stallion out of the herd that had been biting and kicking the other horses. After she chased him away, the mare returned to the herd and stared at the colt until he licked his lips, at which point, on an incremental basis, she relaxed her gaze and stiff body posture and eventually allowed him to return. Thereafter, he was responsive to the other horses “signals” and no longer disruptive. Monty Roberts interpreted the lip licking as a signal of submission, an act of appeasement by the colt that demonstrated its acknowledgment of the rules of the herd. However, given what Pavlov discovered, is there another interpretation? In other words, what was going on in the mind of the young stallion when it was licking its lips? Guess: the lip licking shows that the stallion is connecting with it’s internal core, it’s gut. The confronting and chasing action by the mare caused the stallion to reach deeper in its physical memory to early physical memories – memories of satisfaction through food, and how it relates to and feels the relationship to the mare through feeding. The social structure that was working when the stallion was a nursing foal is being re-experienced by the stallion. Exactly right. The stallion is tasting mother’s milk via Pavlovian conditioning and thus it licks its lips. The intensity of the mare triggered the deep physical memory of the completed brain-to-gut connection and so it softens. In this state it is now able to feel how to relate to the rest of the herd and so is readmitted. I get that; but how is it that the mare “knows” what to do in order to get the stallion to behave socially so that he can be readmitted to the herd while maintaining sociability within the herd? What is it that she is accessing that informs her his behavior is wrong and how to “correct” the bad behavior and then to encourage the right behavior? How would we implement similar training with our dogs? When would it be appropriate to implement similar training with our dogs? More importantly, how could this be used in human relationships? It’s not they are knowing what to do, but are feeling what to do. Bear in mind that each horse projects its “self” into every other horse so that what one does, they all feel as internally destabilizing. The young stallion by kicking and biting the other horses (which is really making prey on them) is putting out ungrounded energy, i.e. more energy than the herd can channel and so this is what makes it disruptive to a herd in grazing mode. It also reflects that the Stallion is not able to feel grounded toward the other horses in the herd, he feels more energy than he is able to channel via his attraction to them, (which of course could be a normal state of adolescence, and he may very well prove to be a future leader given the strong energy which leads to frustration when things aren’t moving fast enough) and so out comes a prey-making instinct as an expression of frustration. The mare is characterized as dominant because she is at active/direct polarity and thus seeking to ground out the stallion by making prey on him, which then swamps his boat and drives him outside the herd. By being outside the herd, he can feel a calm attraction to them from the perspective of that distance and so his feeling softens for them as his earlier memories are rekindled by the mare’s pressure. Reliving the physical memory of mother’s milk increases the carrying capacity of his feeling of attraction so that it can now channel more energy and this increase of capacity limits his sense of frustration. The mare lets him back in because that completes the herd as one group circuit. She can’t feel whole with him out there given that she has projected her “self” into him. Because his softened body demeanor is a manifestation of grounded energy, he can now fit within the group mind. She looks at him and she feels grounded within her self given his softened posture and movements. The stallion’s battery is being “formatted” so that when the herd moves in unison and at higher rates of speed, being in sync with the herd at that high state increases his emotional capacity even more because he gives his calm attraction to his fellow horses “credit” for that strong movement of energy. This is how the animal mind works, a self-organizing group intelligence according to an energetic logic. I didn’t answer all your questions. The mare isn’t correcting anything, she’s simply grounding ungrounded energy. She has no idea of good or bad, merely what feels good and what doesn’t. She’s not encouraging good behavior either, being in harmony with the group (which is only possible through the formatting of the emotional battery) is self-reinforcing. How would we implement similar training with our dogs? This is what NDT is all about. By working with Drive, a dog can feel that playing with its owner is what catching a deer feels like, and thus, heel, sit, down, stay, are likewise what catching a deer feels like. All you have to do is allow its emotion to evolve through the prey drive so that its capacity to bend in deference to the group Will (Will is a group energy) is always strengthened rather than repressed. When would it be appropriate to implement similar training with our dogs? Develop the young dog so as to increase its emotional capacity, not to teach it rules, regulations and skill sets. These are not important, emotional capacity is everything. More importantly, how could this be used in human relationships? There’s only one important question in any relationship, Do you feel what the other feels? I’ve always thought of the lip-licking behavior — particularly in dogs and wolves — as first and foremost an expression of stress. Cortisol levels go up, the mouth gets dry, the animal licks its lips. In doing so, the animal could possibly change the alkaline/acid balance in its mouth, as well as the sodium levels in its blood and urine. So the lip-licking behavior could reduce serum cortisol levels. From what I understand, when cortisol levels go down oxytocin and vasopressin levels go up. These two hormones (oxytocin is also a pheromone) create feelings of trust and connection between group members, which would explain why the mare now welcomes the “bad horsie” back into the group. I’m not opposed to the idea that, on some level, the lip-licking is related to the animal’s hunger circuitry, Pavlovian conditioning, etc. I just think the simpler explanation — change in blood chemistry — is the better of the two. We might be headed for a chicken/egg conundrum, does internal biochemistry cause emotional states, or does physical memory as basis of emotional states cause internal biochemistry, but I’m game. To some extent I acknowledge the former, but with one major reservation as I’ll get into below. My theory is that the intensity of a present-moment situation triggers physical memories of various experiences, and that this then causes the internal biochemistry. The main thing is the issue of coherence. If emotional states were on the deepest level predicated on biochemicals, then we should be able to give animals very sophisticated (i.e. natural) drugs and affect their internal states for the better, and there wouldn’t be a downside and this should therefore be a regular protocol of training. It is true that a drug can induce an internal state and evoke a pleasant feeling, however, in my view this is a short term benefit that will prove to lack coherence over the long term because there is an internal dynamic that is being blunted and dulled by being overridden on a chronic basis, and furthermore this error would be compounded as more and more individuals are treated this way so that there is a deleterious ripple effect throughout the network. I think this is why people become homicidal/suicidal when the internal numbness of the drug can no longer block out the internal disquiet of a malfunctioning emotional dynamic. On the other hand it seems that one could argue that psychotropic drugs are indeed coherent as part of a shamanic/mystical tradition, which I suspect embeds the process with the necessary wisdom, and most importantly proves to be coherent because it invests the individual with a heightened sense of being grounded in nature and connected to one’s community. Without that I don’t think it would be healthful. (Depak Chopra said something interesting about vitamins, that they have the intelligence of the food but lack the wisdom.) It’s also interesting to me that at the same time, these Shamanic/tribal traditions always involve some kind of death-defying/life-affirming ritual of crisis as a rite of passage and this then brings me to my major point. What’s interesting about profound levels of stress is how they can on occasion be accompanied with a wholesale sense of emotional softening and surprising clarity. I believe this is because the first experiences on planet earth for all newborns after being ejected from a state of weightlessness, is the subsequent crisis when summarily introduced to a violent realm of weightedness/resistance and that this profound state of stress is the basis for all subsequent states of stress no matter how many years may go by. Every subsequent frame of reference acquired while navigating a world of friction and faction, would be predicated on this fundamental template; stimulation-separation-drive to connect. Then, the more intense the situation in any given moment, the deeper into the emotional battery and therefore backwards in time the individual is regressed. This means that under severe loads of stress the potential exists that all frames of reference and habits of mind can be suspended, and since these are predicated on stress abatement strategies due to resistance, there is a profound opening once underneath all that built up charge. An opening for what? The potential for movement. The potential for movement, rekindles the physical memory of of ingesting mother’s milk (flow of milk in infant mind evolves into the sense of flow in the adult mind) as an offset to the trauma of weightedness which is biochemically a state of alienation. So the sensations of birth are a sense of disconnection/alienation, emotionally, this is a static charge that cuts the body/mind in half. This is then calmed by ingestion of mother’s milk which makes the infant emotionally whole and puts them back into a state of weightlessness, i.e. dream time. My theory is that if the individual is regressed to the point where existing frames of reference are erased, the next possibility immediately ensues for a sense of potential movement. And if the individual is able to perceive an emotional ground, (in the herd scenario the young stallion looking at the mare from a distance, a perspective which maximizes her preyful essence, which is a complex form of the first memory of flow) then they immediately feel connected and at a profoundly deep level. In other words, they feel warmed, i.e. connected, just as if they are reliving the ingestion of mother’s milk. Therefore the barrier of separation the stallion was sensing between its “self” and the others that caused it to be pent up with energy and thereby disruptive, is erased and it returns its “self” to the coherence of the group mind. It projects its “self” into the mare as well as the others and “lets go” because it relives the feeling of flow and this then induces a state of physical softness. So I believe that it is these deep emotional connections that are what trigger the resulting hormonal cocktails and related behaviors. In other words, flow (and therefore the feeling of weightlessness) comes before the chicken and the egg. Sorry but I failed to adequately answer this important point: “I’ve always thought of the lip-licking behavior — particularly in dogs and wolves — as first and foremost an expression of stress.” Yes that is true, but what the dog or wolf is doing is “operating the magic button” i.e. choosing to focus on a point within its body (its p-cog in its gut via the hunger circuitry–i.e. smooth muscle wave action—is the physical memory of flow) in order to get the threatening stimulus to soften. It’s trying to control its version of reality by opting for the feeling of flow. This is where the element of free Will comes into animal behavior in my view. (I also believe Control Theory is speaking to this phenomenon except that it lacks a model for what is actually going on inside the animal mind). So such an individual is trying to pull a pleasant experience into it as a way of becoming whole, whereas an aggressive dog reacts to stress via growls and tense muzzle, is trying to push energy out of its body/mind as a way of returning to stasis. And then if the situation reaches a high enough intensity crescendo, it has instinctive license to strike. Whereas if it can be induced to shift from vision to smell, for example when there is enough room and time to circle around and physically dissipate the state of tension, then the hunger circuitry takes over and it can more easily choose to pull in a pleasant experience and shifts toward perceiving the preyful essence of what it’s looking at rather than the predatory aspect. And again, I believe the necessary biochemistry that translates all this from the immaterial realm of consciousness to the material dimension of actual action and overt body states follows from this dynamic. 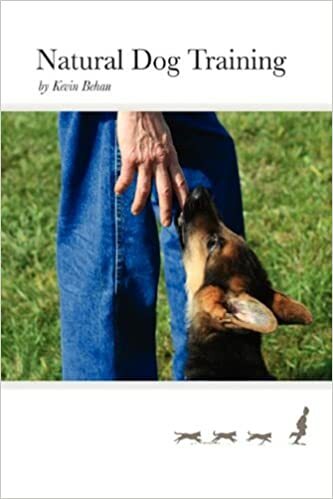 KB: Sorry but I failed to adequately answer this important point: <i<“I’ve always thought of the lip-licking behavior — particularly in dogs and wolves — as first and foremost an expression of stress.” Yes that is true, but what the dog or wolf is doing is “operating the magic button” i.e. choosing to focus on a point within its body (its p-cog in its gut via the hunger circuitry–i.e. smooth muscle wave action—is the physical memory of flow) in order to get the threatening stimulus to soften. It’s trying to control its version of reality by opting for the feeling of flow. I don’t think the dog is choosing the behavior or trying to soften the threatening stimulus or to try to control “reality.” To me that would imply a linear, perhaps even rational — not to mention self-referential thought — process. dry mouth > licking > physical memory of suckling > emotional balance. But in terms of the chicken and egg idea, I don’t see anything to preclude the hormones coming first, and the behavior arising from their influence, with perhaps faint of glimmer of physical memory added like a cheese on top the omelet (to mix our edible, chicken/egg metaphor). But then, I haven’t thought it through from all the different angles you’re proposing. The term choice does suggest if not imply reasoning, but I don’t mean it in that way. The number one motive is for movement, this is true of all organisms, and the potential for this is felt, rather than deliberated upon, and this is what I’m trying to say. So I’m proposing that the physical memories of simple, physical motion from the earliest days of life are recapitulated by an external trigger when the two parties come into a state of synchronization. The ability to feel the potential for movement (i.e. sense a preyful aspect) is what guides the “choice” as opposed to a thought as in “if I do this then that will happen.” The dog can choose to either weight a subliminal focus on its own body (hunger) or weight the external focus on the eyes of the other individual (balance). And only if both parties “choose” the former, then and only then can they feel pure movement and so this is the innate impulse that guides complex social interactions. It’s akin to two kids of differing weights going by feel so as to self-modify their relative positions on a seesaw in order to arrive at a state of physical suspension. 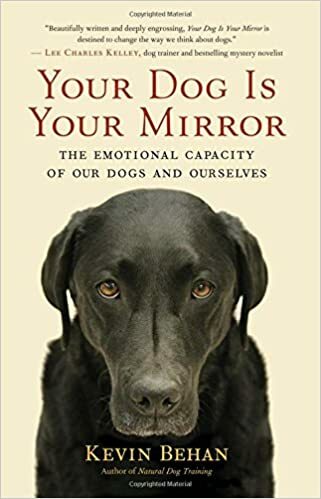 This principle of emotional conductivity is why dogs are so reliably social because neither individual can get to a state of wholeness (after being stimulated by another) without the other one feeling good (i.e. feeling a sense of motion). In other words, it takes two to make a choice, and this group consciousness is the antithesis of rational, linear thinking. Rather, it’s an auto-tuning/biofeedback dynamic around which I believe anatomy, physiology and neurology must therefore be composed. I agree that the potential for movement, and even most movements themselves, are not deliberated upon, even in humans and dolphins. Plants don’t deliberate on where the nutrients are located in the soil in order to send their roots down to the best locales, nor does a batter deliberate too much when the pitch is coming at him. That’s an immediate-moment choice, and action response not a thought-based one. But I would also argue that movement and motive aren’t separate. I would also suggest that the number one motive is keeping the integrity of the organism intact (from the atomic shell, to micro-organisms, to plants, animals, and on up to national governments), and that the number two motive is the drive to connect, the eros principle at its simplest, most basic level, from the atomic level on up the chain of creation (where chlorine atoms bond with sodium atoms to form salt, plants send down roots to the soil or turn their leaves to the sun, to the emotional bonds people form with dogs and vice versa). (5/9/11) KB: I agree that motive and movement are distinct in one way, but on the most fundamental level they would still be synonymous. So I would argue that the issue of integrity is subordinate to the motive of movement since it seems to me that life = the movement of energy and organisms need to stay intact only so that they can participate in the movement of energy. Also, reaping new energy as a result of such movement is the only way to keep the organism intact due to thermodynamic problem of deterioration. Thus, integrity follows from movement. I also wonder if pondering this distinction brings us to this philosophical point. At the moment it is considered conservative to believe that first comes form (the body and the brain) and then comes consciousness. First there has to be a living being in order for there to be consciousness. However in my reading of nature this didn’t end up making sense even though from a material way of looking at things of course it is logical and seems like a reasonable proposition. However from watching animals I have come to believe that consciousness is energy. In other words, energy doesn’t evolve into a living thing as an inert mechanical force of some sort, and then consciousness emerges by some other process that various scientific disciplines wrangle over. Rather, information (consciousness as energy) comes first and then physical organisms evolve as its means of expression. For example, electrons can manifest a semi-conductive nature and this most basic kind of information then evolved into the internet as its highest expression and in fact it was inevitable. It didn’t matter who invented it, its invention was a foregone conclusion given the semi-conductive nature of electrons. The semi-conductive nature of electrons is guiding the thinking of every electrical engineer and every piece of electronic hardware and the continuing evolution of which is inexorably being channeled along according to certain principles of efficiency, i.e. movement of energy. While to our logical sensibilities the idea of consciousness as energy independent of form seems a supernatural, radical statement, however, I believe it proves to be far more consistent with quantum mechanics wherein the act of observing affects an experiment and I would also argue that these quantum effects are also happening on the gross physical, macro level once we see the overwhelming effects of physical memory that orchestrates and informs animal behavior. So the main thrust of my argument is that the behavior of animals 100% mimics the laws of nature and thus the principles of energy are the operating system of all animal behavior. There’s no other way that animals can behave, learn or self-organize except according to these principles, nothing emerges out of these principles, it always follows laws of which we are at the moment only dimly aware of and so we don’t recognize how radical our “conservative” view of nature, reality and consciousness actually is. I sum up my animal/energy theory as the “selfish electron.” In this way of looking at things, the plant is the photon’s means of turning into an electron so that it can then run to ground, and which along the way will bring matter into forms of life and the self-sustaining cycles of living things. Finally, this would speak to the need for integrity not as something separate from movement but rather as a very complex form of energy running to ground. So the animal is fragmented by stimulation, the stimulus now is part of the animal’s mind via animated neurons that excite electrons, and it has to connect with stimulus and ingest a preyful aspect to “digest” this dose of stimulation and ground out these excited electrons and return them to a state of neutrality. This not only maintains integrity but addresses the most fundamental function of movement, which is adding new energy to the network.